With the quality of digital cameras continually improving and prices falling, $500 or less can buy you an excellent digital camera in 2018. All within this price range, you can get an entry-level digital SLR, a mirrorless interchangeable-lens camera, an advanced point-and-shoot, or even a superzoom. Below are our picks for the best cameras under $500, with options from leading brands like Nikon, Canon, Sony, and Olympus. We will continue to update this list as new models are released and price drops bring some of our favorites below the threshold. For more background, see our comparison table and buying advice below the picks. What we like: Nearly identical image quality as the D3400 below for $100 less. What we don’t: No Bluetooth, although you can add a separate adapter for about $30. The D3300 is one of Nikon’s leading entry-level DSLRs, offering good image quality, a user-friendly interface, and an improved kit lens that is lighter and sharper than past models. Most importantly, we love the value: the D3300 is less than $400 with a lens, and will far outperform point-and-shoots and other cameras in its price range. It’s true that you can get more features by stepping up to the D5000 series, but that breaks the $500 barrier (the second generation D5300 is $529 at time of publication, for example). It was a close call between the D3300 and the D3400 for the top spot on this list, but our tipping point was price. The D3300 is a significant $100 cheaper, but the newer version has nearly identical image quality and doesn’t come with a huge jump in features. It’s true that the D3300 lacks Bluetooth Connectivity (you can add a WU-1a wireless adapter for about $30 more), while the D3400 comes with Nikon’s Snapbridge. It also has inferior battery life, although the flash is considerably better, which is a nice advantage for those who frequently shoot indoors and in low light. The bottom line is that both are great entry-level DSLRs, but we’ll take the savings on the D3300. What we like: A nice option for still photographers. What we don’t: Fewer megapixels than the Nikon D3400 and D3300. Canon’s popular Rebel series is a favorite among photographers and videographers on a budget. Unfortunately, with $500 you can’t quite crack the higher-end “i” models: the Canon Rebel T6i is $649 with a kit lens and even the T5i is $579. The Rebel T6 (no “i”) is a trimmed-down version with fewer megapixels, a simpler autofocus, and a fixed LCD that doesn’t tilt. But at only $449 with an 18-55mm lens, the T6 gets you a current digital SLR from one of the best in the business. What do you sacrifice by going with the Canon Rebel T6? For those who plan on shooting mostly still photography, not as much as you might think. Many of the features on the pricier T6i and T5i such as the tilting LCD and STM lenses are designed with video in mind, and therefore aren’t much of a loss for those capturing stills. But we don’t like the drop in megapixels down to 18, which we think makes the Nikon D3300 above a more attractive option for about $50 less. What we like: The whole package in this price range. What we don’t: Improvements over the D3300 were minimal. In 2018, the D3400 is Nikon’s flagship entry-level DSLR and a solid value at under $500 with a kit lens. With this camera you get impressive image and video quality for the price including a 24.2-megapixel APS-C image sensor, Full HD 1080p video at a variety of speeds, and the ease of use that has helped make Nikon so popular. All in all, the D3400 is a no-brainer for those looking for an inexpensive DSLR that still gets the job done. One consideration for buyers is that the D3400 is very similar to the older D3300 above. 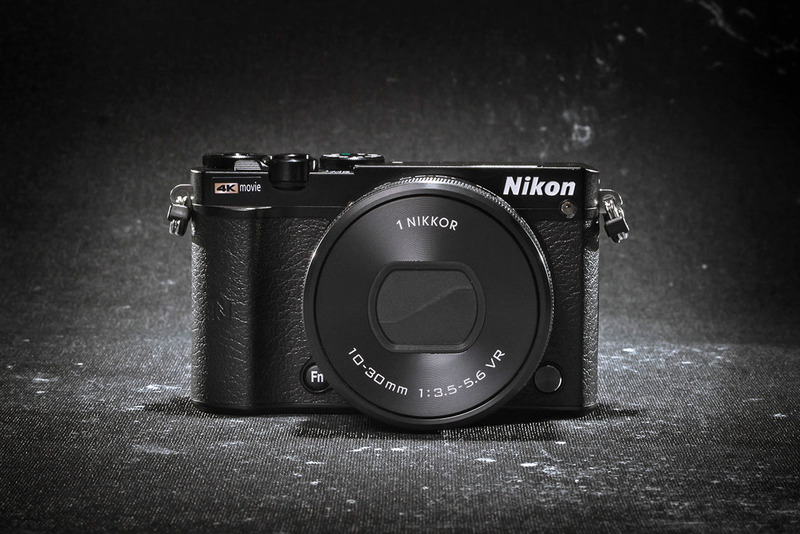 The most notable improvement on the newer model is Nikon’s SnapBridge technology for transferring images and videos via Bluetooth, and the D3400 also got a boost in battery life. With a $100 difference in cost from the D3300, you can’t go wrong with either model, and we appreciate the connectivity options and extended battery life of the D3400. What we like: One of Canon's cheapest DSLRs at less than $400. What we don't: Video quality could be better. It’s pretty rare that you’ll find an interchangeable-lens camera for under $400, especially from a brand like Canon. The Rebel T5 isn’t loaded with features by any means—it’s at the bottom end of Canon’s Rebel DSLR lineup—but we love the bargain basement price. At just over $360 with a kit lens, it’s the cheapest DSLR on this list. Why is the Rebel T5 so inexpensive? First, the rear LCD screen doesn’t have touch functionality nor does it tilt or swivel. Second, the T5 has a slow burst rate at only 3 frames per second. Finally, the autofocus is fairly basic with only 1 cross-type focus point. But we love the price, which is comparable to some point-and-shoots that don’t offer nearly the same image quality. If you’re comparing the T5 to the newer T6 above, the latter adds Wi-Fi and NFC along with a higher resolution LCD screen. What we like: Light and compact for travel. What we don’t: No viewfinder and limited lens options. Canon is relatively new to the mirrorless market, but we really like their M line of interchangeable-lens cameras. At around $500, the M10 has an APS-C image sensor, 18 megapixels of resolution, and a sleek design that weighs only 10.6 ounces for the camera body. In fact, it’s one of the lightest and most compact mirrorless cameras around, so it’s great for travel. More, the image quality will far surpass that of most premium point-and-shoots. 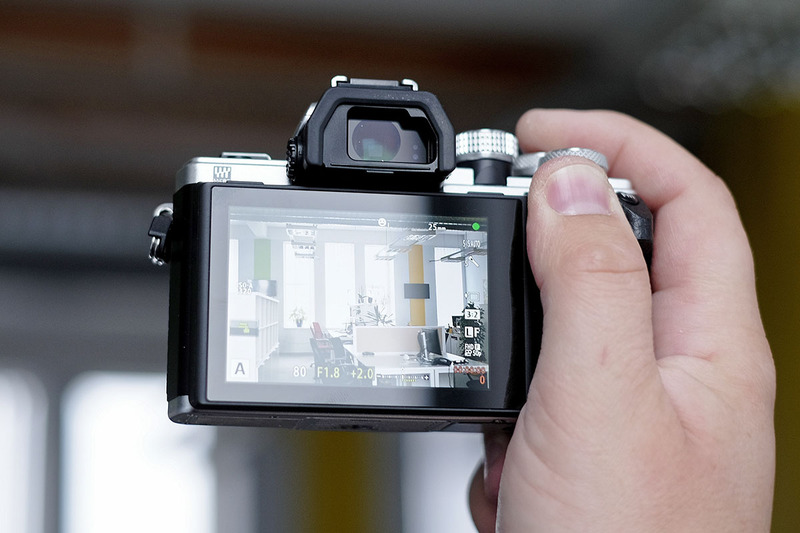 Keep in mind that the M10 does not have a viewfinder, meaning that you’ll have to line up your photos via the rear LCD. And although Canon’s collection of EF-M lenses is growing and some third-party manufacturers have even jumped in the mix, you won’t find a lot of fast, pro-grade options. There is a 22mm f/2 prime, but most other lenses are slower including the 15-45mm offered with the M10. And of note: the Canon M100 was released in fall of 2018, which features 24 megapixels of resolution, a newer processor, and a $600 price tag. What we like: Impressive feature set for the price, including built-in image stabilization. What we don’t: You’ll still need to add a lens. Olympus has made some of the top mirrorless cameras on the market for years, but consumers have felt the squeeze when considering high-end models like the E-M1 Mark II and E-M5 Mark II. The E-M10 Mark II, however, is a much more affordable option that offers Olympus’s signature image and video quality for just under $500 for the camera body. With the E-M10 Mark II you get advanced features like built-in image stabilization, an electronic viewfinder, and fast shooting at 8.5 frames per second. Further, the price has dropped with the recent release of the Mark III, which we like. What are downsides of the Olympus compared to the Canon M10 above? The biggest is price: the E-M10 Mark II is $499 without a lens, and going with the 14-42mm kit will push it up to $549. However, it’s worth noting that the Micro Four Thirds collection of lenses is varied and outstanding overall. If you’re willing to spend up a bit—or start with the kit lens and save for a specialty prime or zoom down the road—this is a fun camera and a great stepping stone. What we like: Sony's cheapest mirrorless camera. What we don’t: Fairly limited feature set. We have good news for photographers on a budget: You can access Sony’s popular line of mirrorless cameras for less than $500 with a lens. The Alpha a5100 is the company’s leading entry-level model and a very attractive alternative to point-and-shoots in the same price range. 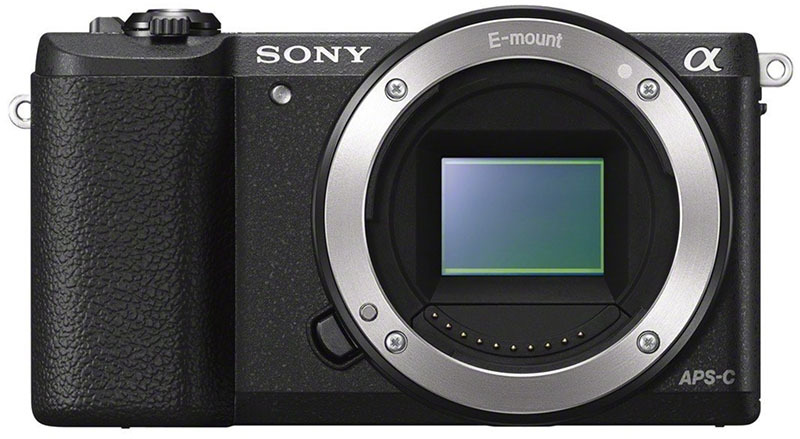 For example, the image sensor on the a5100 is roughly three times as large as the Sony RX100 below, the autofocus is more advanced, and you get a range of E-mount lenses to choose from. The 16-50mm kit lens sold with the a5100 isn’t our favorite, but it’s a decent starting point nevertheless. Don’t expect a ton of bells and whistles from the Sony Alpha a5100, especially compared to its mid-range siblings like the a6300 and a6500. The a5100 isn’t weather sealed, lacks a viewfinder, and doesn’t shoot 4K (you’ll notice these are common themes among entry-level interchangeable-lens cameras). But the image quality is impressive for the price, which combined with the compact size and easy to use functionality, make the a5100 a big seller year after year. Keep in mind that similar to the Olympus OM-D E-M10 Mark II above, you will have to add a lens. What we like: Super fast shooting speed and improved ergonomics. What we don’t: Smaller image sensor than the mirrorless competition. Nikon has limited mirrorless offerings, but don’t overlook the 1 J5. This camera lags behind in the models above in the size of its image sensor but makes up for it in features and functionality. With the 1 J5 you get extremely fast shooting at up to 20 frames per second, 20.8 megapixels of resolution, built-in Wi-Fi and NFC, and better ergonomics than past versions with an improved grip. In addition, the 1 J5 does not have an optical low pass filter like many of Nikon’s latest DSLRs, which results in better sharpness. If you can overlook the sensor (we should note that it is the same size as Sony’s popular RX100 series) the Nikon 1 J5 is a fun and very fast camera. It's worth noting that the future on Nikon’s 1 series is far from certain. As expected, the company has been fairly quiet about its mirrorless lineup, and speculation has heated up about the possibility of a new Nikon full-frame mirrorless camera. But the 1 J5 was released in 2015, which is a long time in the camera world. There currently are around a dozen “1” lenses to choose from and it’s a nice system for sure, but we wouldn’t be shocked to see some changes down the road. What we like: Still one of the top point-and-shoots on the market. Sony’s RX100 series is borderline iconic in terms of premium point-and-shoots, with five models to choose from in 2018. The least expensive version also happens to be our favorite: the original RX100. This camera has a large 1” image sensor that produces high-quality 20.1-megapixel images, a fast Carl Zeiss lens, manual settings, and RAW capability, all packaged in a lightweight body. For around $450, that’s a whole lot of point-and-shoot. What do the newer RX100 cameras have that the original does not? The RX100 V has an electronic viewfinder and shoots 4K video, and the lens has gotten faster at the telephoto end (f/1.8-2.8 vs. f/1.8-4.9 on the RX100). These admittedly are nice features but not worth doubling the cost or more in our opinion (the RX100 V is a whopping $948). Most importantly, image and build quality are very similar and the RX100 is less than half the price. For these reasons, it’s our top rated point-and-shoot under $500. What we like: Longer zoom range than the Sony RX100. What we don’t: As with the RX100, no electronic viewfinder. Sony dominated the point-and-shoot market for years, but Canon has come on of late with its “X” series of compacts. This camera has a lot of similarities to the Sony RX100 above: it lacks an electronic viewfinder and therefore you line up photos with the rear LCD. More, the lens is slower and has slightly less zoom range than the pricier G7 X Mark II. 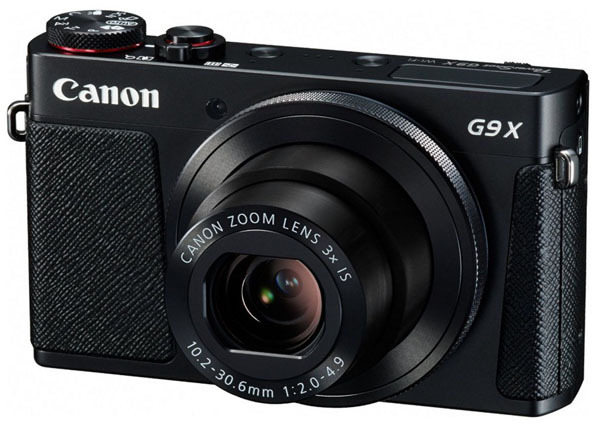 But the G9 X Mark II has a large 1” image sensor and packs a punch in terms of image quality. At only 7.3 ounces, this is a great little camera for travel and everyday use. Last year, Canon released the Mark II version of the camera, with the original G9 X selling for $399 at time of publication. The cameras share the same 28-84mm f/2-4.9 lens, with upgrades including a newer image processor, Bluetooth connectivity, and a slightly lower weight (the older version is approximately 7.4 ounces). All things considered, the changes aren’t groundbreaking, but considering the excellent value of the Mark II, it's an easy choice. What we like: A well-rounded camera for under $300. 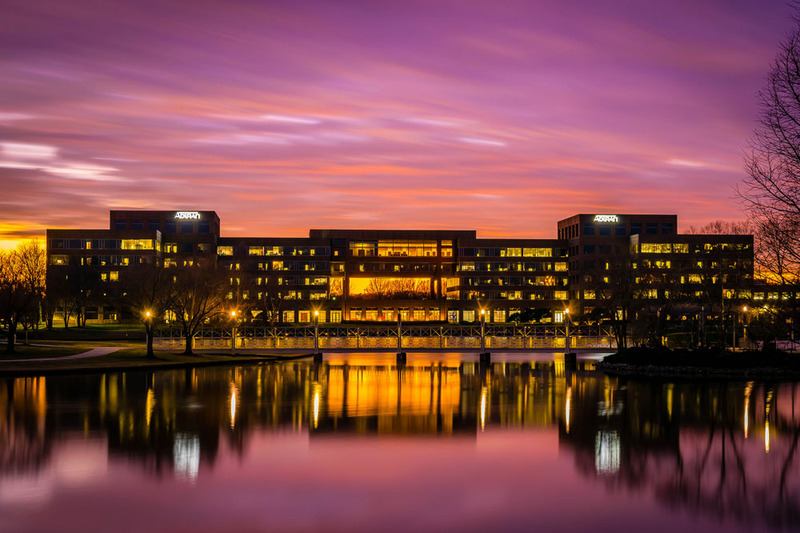 What we don't: Smaller image sensor than the advanced point-and-shoots above. If you’re willing to move down to a smaller sensor, the Canon SX720 HS is a popular superzoom and a great travel camera on a budget. Most impressive is its 24-960mm of reach, which far exceeds any of the more expensive point-and-shoots above. You also get Full 1080p HD video capability and built-in Wi-Fi, among other features. In most conditions, the SX720 HS can produce quality images and you’ll barely notice it’s in your pocket. If you don’t need the big zoom capability, we would at least consider spending up for a camera like the Sony RX100 above. The image sensor on the SX720 HS is considerably smaller than the RX100, and the lens and low light performance are inferior as well. But it’s hard argue with the price, size, and zoom range, which are what make the SX720 HS one of the more popular compacts on the market. And it’s worth noting that Canon has released the SX 730 HS, which adds Bluetooth functionality to the mix. But we don’t think the upgrades aren’t worth the extra $100+ in cost, which is why we have the older model here. What we like: Waterproof, dustproof, and freezeproof. Generally, we hesitate to recommend “tough” cameras. The bottom line is that a big chunk of the money goes to waterproof housing and you end up with a small image sensor and meager components on the inside. Having said that, certain outdoor activities like surfing, rafting, skiing, or even a beach vacation can wreak havoc on your electronics. If you want a dedicated camera on hand but don’t want to think or worry about it, the new Olympus TG-5 is the top rugged point-and-shoot on the market in 2018. Why do we prefer the Olympus TG-5 over other waterproof models from brands like Nikon and Fujifilm? In addition to being waterproof, dustproof, and freezeproof, the TG-5 has a very respectable maximum aperture of f/2 for low light and underwater photos. We also like the 25-100mm zoom range, which goes wider than most other comparable cameras at 28mm. It’s true that $399 is a lot to spend for a camera with a small sensor and without big zoom, but for those who expect serious exposure to the elements, the Olympus TG-5 provides the protection. What we like: Big-time zoom. What we don’t: DSLR-like size yet with small image sensor. 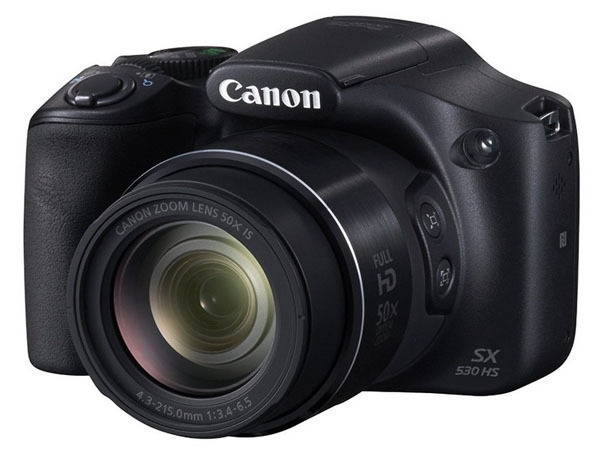 If you’re looking for huge zoom at a low price point, check out the Canon SX530 HS. For less than $300 you get a massive 24-1200mm of reach along with image stabilization and Canon’s signature easy-to-use functionality. All in all, it’s a beast of a superzoom for travel photography and everyday use. Why isn’t the SX530 HS higher on our list? Unlike the compact SX720 HS above, this camera is extremely bulky and feels much more like a DSLR than a point-and-shoot (it weighs a hefty 15.6 ounces). In addition, the SX530 HS has less resolution than the SX720 HS in terms of megapixels (16 vs. 20.3) and an inferior LCD screen. But you do get more zoom range, which is why many people choose a camera of this type in the first place. 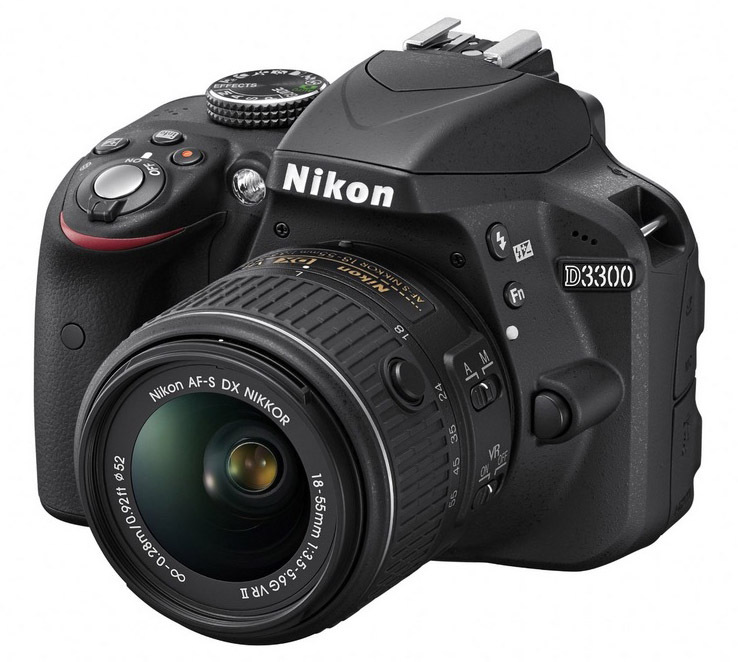 Nikon D3300 $397 DSLR 24.2 357 sq. mm 5 fps 15.1 oz. Canon EOS Rebel T6 $449 DSLR 18 332 sq. mm 3 fps 17.1 oz. Nikon D3400 $497 DSLR 24.2 366 sq. mm 5 fps 13.9 oz. 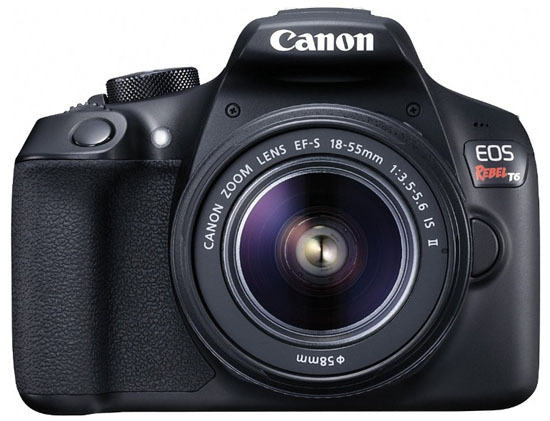 Canon EOS Rebel T5 $362 DSLR 18 332 sq. mm 3 fps 15.3 oz. 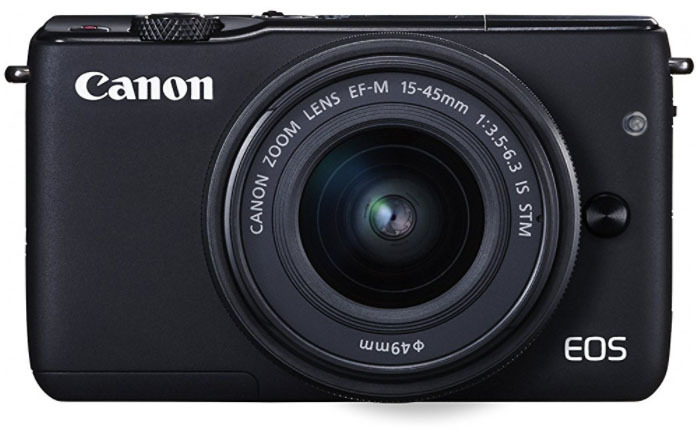 Canon EOS M10 $499 Mirrorless 18 332 sq. mm 4.6 fps 10.6 oz. Olympus OM-D E-M10 Mark II $499 Mirrorless 16.1 228 sq. mm 8.5 oz. 13.8 oz. Sony Alpha a5100 $448 Mirrorless 24.3 366 sq. mm 6 fps 10 oz. 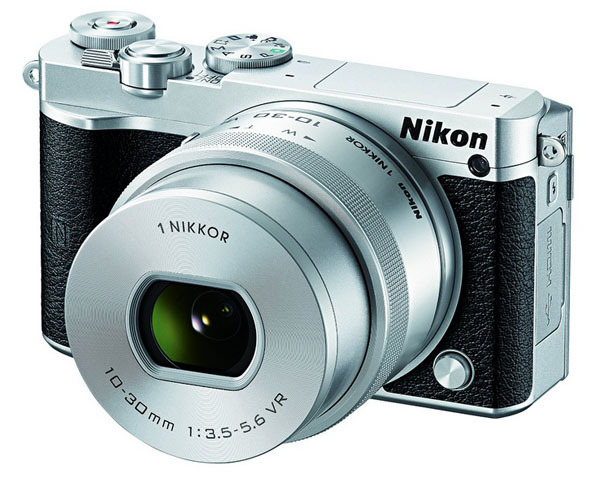 Nikon 1 J5 $497 Mirrorless 20.8 116 sq. mm 20 fps 9.4 oz. 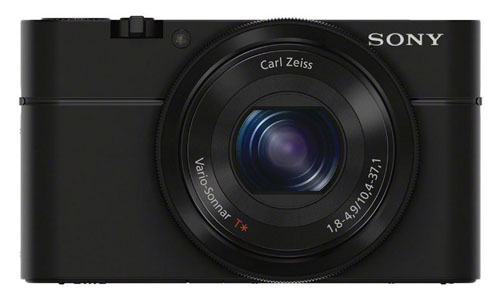 Sony RX100 $448 Compact 20.2 116 sq. mm 10 fps 8.5 oz. Canon PowerShot G9 X Mark II $429 Compact 20.1 116 sq. mm 8.2 fps 7.3 oz. Canon PowerShot SX720 HS $273 Compact 20.3 28 sq. mm 8 fps 9.5 oz. 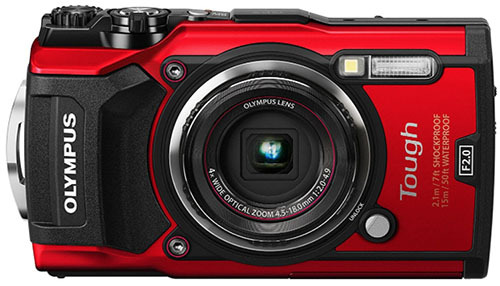 Olympus TG-5 Tough $399 Compact 16 28 sq. mm 20 fps 8.8 oz. 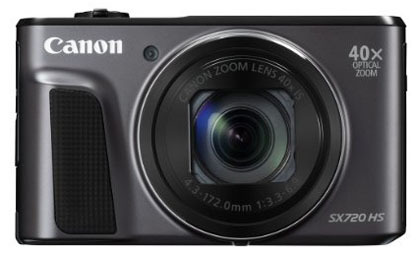 Canon Power SX530 HS $249 Compact 16 28 sq. mm 10 fps 15.6 oz. Digital SLRs are the classic camera used by professional photographers and enthusiasts, although mirrorless cameras below are making inroads. Even in the sub-$500 price range, you can get an entry-level DSLR from Nikon or Canon including an 18-55mm kit lens. Prosumer and full-frame DSLRs are well out of reach from a cost perspective, but entry-level DSLRs are excellent for budding photographers. This relatively new breed of camera was built entirely for digital and boasts DSLR-like image sensors in a more compact form. You also get interchangeable lenses, offering greater flexibility than a point-and-shoot that comes with an attached lens. The sacrifices of mirrorless cameras are that the lens choices are still catching up to DSLRs, the experience feels more digital including the prevalence of electronic viewfinders, and the cost can supersede a comparable DSLR. Point-and-shoots generally are cheaper than the cameras above—they come with an attached zoom lens and a range of features from 1080p video to Wi-Fi. They also have the smallest image sensors, which is why many professional photographers opt for a digital SLR or mirrorless camera. Despite the inferior image quality, you can get a ton of features for under $500 in a very easy-to-use package. Your DSLR or mirrorless camera choice will be relatively basic in terms of functionality, but not so with a point-and-shoot. Video has become a highly sought-after feature, even at the entry level. All of the cameras on this list shoot Full HD 1080p, and only the Nikon 1 J5 shoots 4K (although the quality is questionable). Shooting speeds vary depending on the camera model, and quality generally correlates with price. All things considered, most cameras under $500 will shoot decent video but not nearly as good as an enthusiast or full-frame camera. The Canon Rebel series in particular is known for video, but only the T6 and T5 made this list (the T6i and T5i are better options for videographers, but they are more expensive). Those who shoot action scenes will want a high burst rate, which is the amount of times per second that the camera will fire. Entry-level DSLRs tend to have the slowest burst rates (in the range of 3 to 5 frames per second), while point-and-shoots and mirrorless cameras can be many times better, depending on the model. The Nikon 1 J5 is the fastest camera on this list at 20 frames per second, while the Sony RX100 is very respectable for a point-and-shoot at 10 frames per second. As the price of a camera rises, the rear LCD screen tends to get more advanced. Depending on the model, you may find a tilting or swiveling LCD and even touchscreen functionality. And the higher the resolution on the screen, the easier it will be to read and navigate. This is an area where manufactures tend to trim features to save money, but our top picks like the Sony Alpha a5100 and Nikon D3400 both have good, bright LCDs for the price. Point-and-shoots tend to have the smallest LCDs with the least amount of functionality, with the exceptions being at the high end of the spectrum. For advanced photographers, the viewfinder is central to lining up a shot and making sure focus is correct. 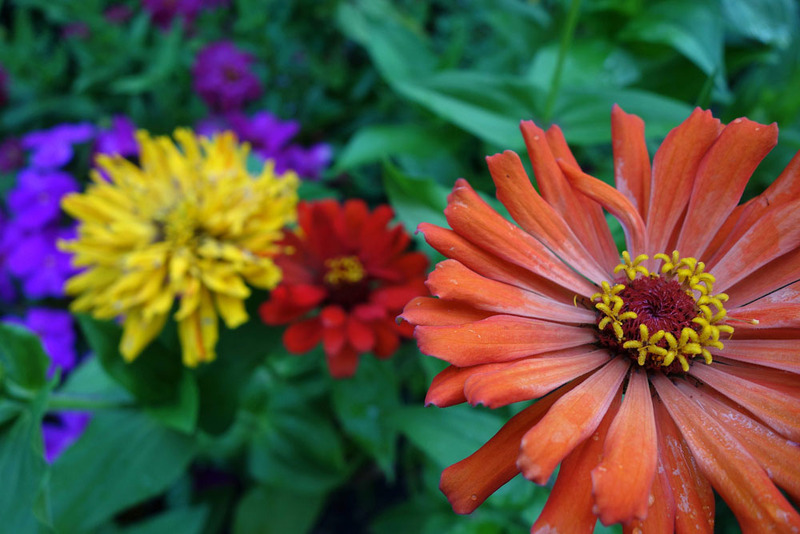 Many entry-level cameras, however, lack a viewfinder and these actions must be done via the rear LCD. We tend to appreciate this technology and it makes creating serious photos easier and more accurate. 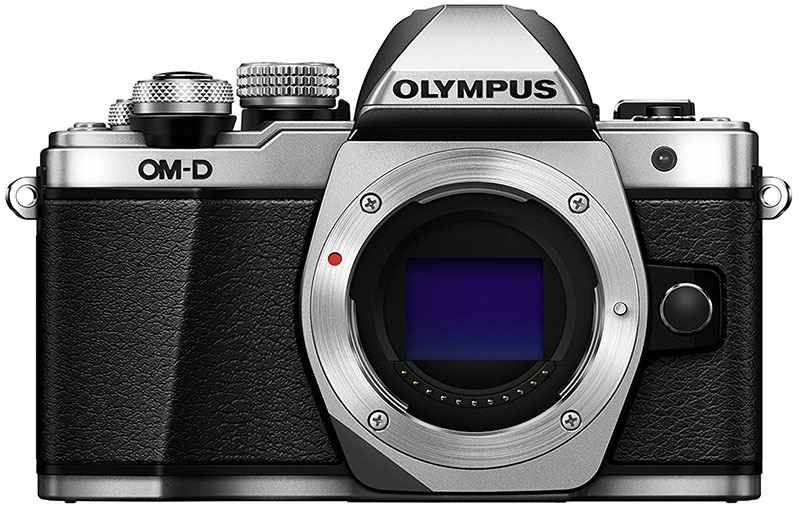 All of the digital SLRs on this list have optical viewfinders, and the Olympus OM-D E-M10 Mark II has an electronic viewfinder. Those who value the composition aspect of photography should take this feature into account. In 2018, most new cameras come with wireless, Bluetooth, or both, allowing you to transfer images off your camera and post them with ease. However, some models on the list are past generation cameras (this often is the reason they are under $500). For example, the Nikon D3400 connects to Bluetooth via the Snapbridge app, but the older D3300 requires purchasing a separate adapter. The Canon Rebel T6 comes with wireless and NFC, but the Rebel T5 does not. The good news for consumers is that this topic will become obsolete within a couple of years as almost all of today’s entry-level cameras come with some form of built-in wireless. You’ll notice that we’ve included both sensor size and megapixel count in the specs for each camera as well as on our handy comparison table. Sensor size—the surface area used to collect light and other information for your digital photographs—is the more underrated of two. Megapixels, the amount of tiny dots on the sensor (mega=millions), get much more marketing attention but actually have less impact on image quality. We recommend taking both specs into consideration when making a camera buying decision. It’s a tough call—you can get an entry-level DSLR with a large APS-C image sensor for the same price as an enthusiast point-and-shoot with a much smaller sensor, but the experience varies significantly. The DSLR will produce superior images, particularly if you plan to enlarge or print them, but the point-and-shoot will be packed with features, lighter, and more fun to use. We place a higher priority on sensor size over megapixels, but your intended use for the camera should dictate the final decision. With a $500 budget, we prefer either an entry-level DSLR like the Nikon D3400 or a high-end point-and-shoot like the Sony RX100. 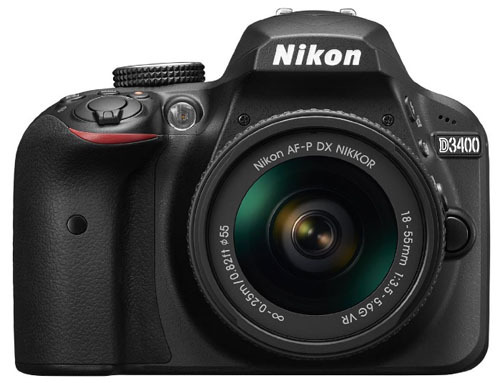 The D3400 is a terrific DSLR for getting started and there are a number of Nikon DX-format lenses that can be added later at reasonable prices. Just a few years ago the RX100 was the top compact camera on the market and Sony has continued to churn out new versions (they currently on the RX100 IV, which costs a whopping $949). The biggest omission on the RX100 is the lack of an electronic viewfinder, but with an extra large sensor for a point-and-shoot and a superb lens, this camera is winner and a great value. Mirrorless feels like the mostly iffy category here—the kit lenses are comparatively weaker than their Nikon or Canon counterparts and the prime and zoom options are more scattered. The Sony a5100 is a great little camera, but the 16-50mm kit lens leaves something to be desired and there just aren’t many cheap Sony E-mount lens options. Canon and Nikon offer even fewer lens choices. We still love mirrorless in general, but the field gets markedly better in the $500 to $1,000 price range and up. When choosing from the top two categories above (DSLR or mirrorless), the camera often includes a kit lens that will be serviceable but not a stand out. The 18-55mm kit lenses from both Nikon and Canon are great for getting out of the door and shooting around town, but as your photography skills expand, you may want to add another prime or zoom lens or two (a good landscape or portrait lens, for example). This will send the total cost of your kit above $500 and counting, but if you are expanding your lens collection, that’s usually a good sign.